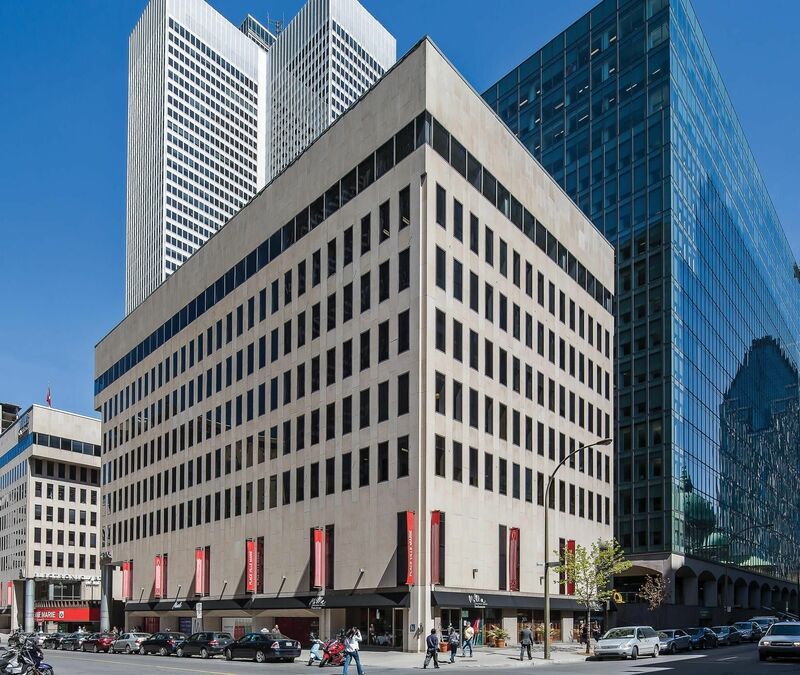 Overlooking McGill College Avenue, and bordered by Mansfield and Cathcart Streets, 4 Place Ville Marie is an integral part of the landmark Place Ville Marie development. Thousands of people emerge daily from Montreal’s famous underground city to make their way to work via one of the public transit arteries that converge below the property, granting access to two metro stations (McGill and Bonaventure Metro), two train stations, and the city’s downtown bus terminal. The building’s 11,570-square-foot rectangular floor plates lend themselves exceptionally well to planning for professional firms of all sizes without sacrificing any visibility and its occupants benefit from a dynamic environment, rich in culture. This building has been given a Wired Certification of Gold for 2019. The following Carriers are available in the building : Bell - Fibre, Rogers - Fibre, Zayo - Fibre, Fibrenoire - Fibre, Cogent - Type 2 Fibre, Cogeco - Fibre, Videotron - Coax, Videotron - Fibre, Telus - Fibre. WiredScore certifies the quality of the building's internet connectivity. 400 11,344 Office Available July 1st, 2019.